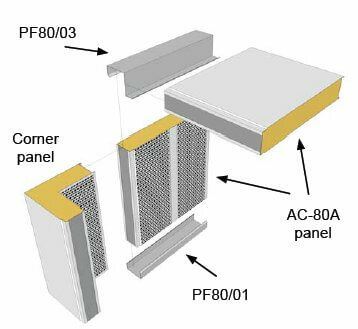 A highly absorbent, Class A, Rw 32dB, acoustic modular acoustic panel for acoustic enclosure and acoustic barrier constructions for both internal and external applications. 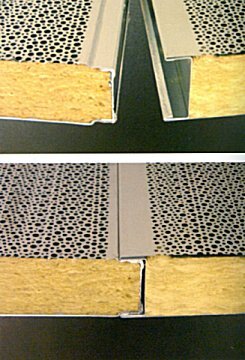 The panels consist of a pre-lacquered metal sheet of 1mm thickness (light grey similar to RAL 9002) with a 70kg/m³ acoustic mineral wool infill, covered with a black scrim tissue facing, behind a 0.5mm multi-perforated sheet. 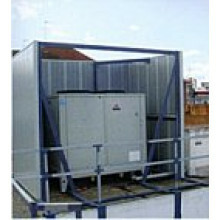 With this modular system there is no need for expensive bespoke manufacture. 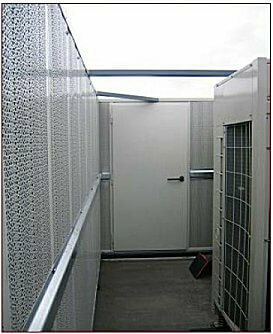 Enclosures or barriers can be constructed on-site using the modular sections which are easy to configure. 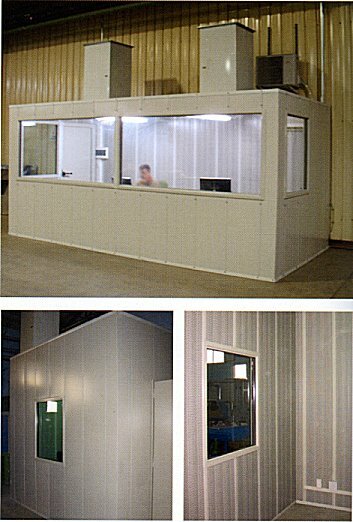 Large or freestanding panels may need a supporting frame. 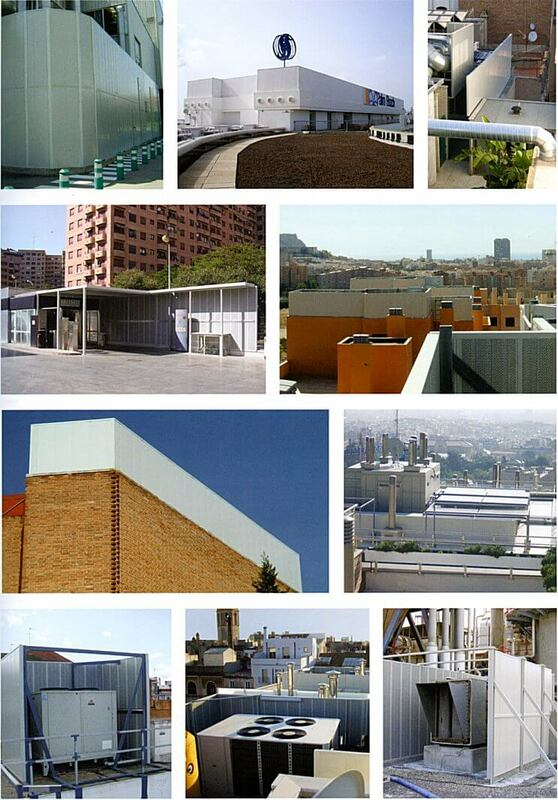 Non perforated corner units can be used for both internal and external corners. If these panels are being used for an internal booth then the 1.2mm thick profiles are generally adequate. 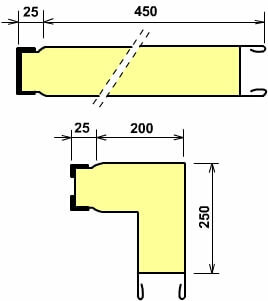 However for external application, and especially for welding, the thicker 2.5mm profiles should be used as the thin profiles cannot accept welds. These panels are heavy and they are not self-supporting. Generally top and bottom 'C' channels can be supplied (other profiles are also available depending on application) and even though each unit simply push clips into the adjacent one it is generally a good idea to also use our 'omega' profile channels as central bracing supports. 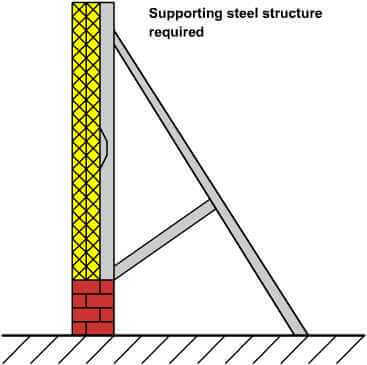 Timber can be used in place of metal support structures but for longevity we recommend customers source their own metal bracing. 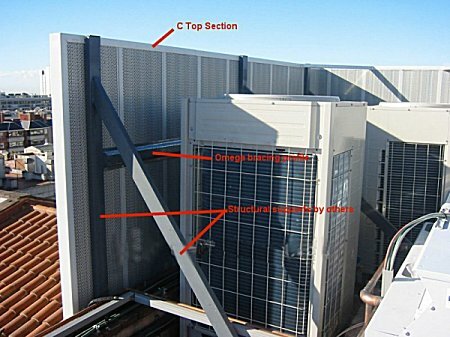 If we know how these are being used, in most cases, we can provide full CAD drawing for the internal or external bracing struts required to support the panels but if wind loadings are required then that information would need to be provided to us in advance. 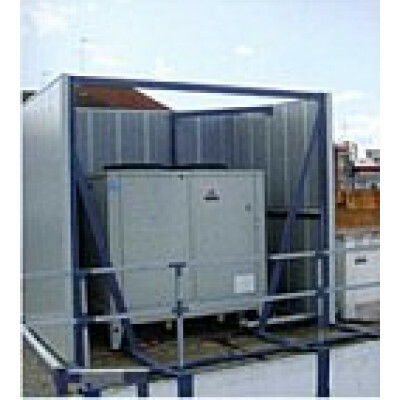 With CAD drawings, installation is greatly simplified. 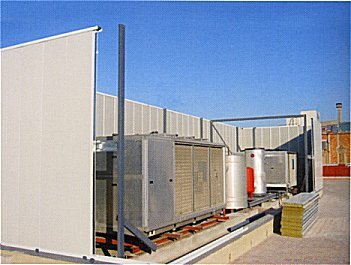 These panels can be used for a wide variety of applications. Optional viewing windows of laminated glass as well as doors can be combined with these panels to create safe havens or machine enclosures. The windows are also modular and fit into the metal sections in the same manner as the sections clip together.